Experience Life Article about "Fearless Aging"
Can We Disagree Politically and Still Be Friends? Semi-Retirement: What is Your Story? Running 13.1 Miles on "Old Knees"
I discovered the joys of slow travel mostly by necessity. Several life changes – becoming empty-nesters, my cutting back on work days, and my husband becoming a self-employed web developer who could work from anywhere – enabled us to act on our desire to make travel a bigger part of our lives. We chose Italy, a country we had never visited, for our first trip in this new life stage. Choosing the country was easy; deciding how many cities to visit was not. I wanted to see as much as possible, and my husband, who needs to be accessible each day in case a client has a problem, worried that if we were in a city only a few days and he had a major issue to resolve, he might miss the whole experience. He wanted to visit two cities and I wanted to visit four, so we compromised and visited three. That was one of the best compromises I ever made. We learned there was so much to experience in each location that the longer we were there, the longer we wanted to be there. When we quit rushing from one "must-see" spot to the next, we discovered how delightful it was to wander little side streets, observe what was going on around us, explore obscure places, talk with the locals and get more in tune with the culture. That first trip to Italy almost ten years ago started our love affair with slow travel. The Art of Slow Travel defines slow travel as "a mindset that rejects traditional ideas of tourism and encourages you to soak in your environments and keep yourself open to new experiences." Having the time to be open to new experiences is key to our enjoyment of slow travel. 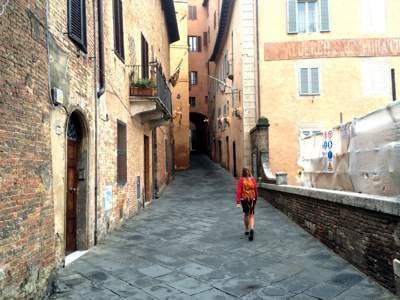 Some of our favorite experiences occurred while wandering side streets with no agenda. One time we noticed a flyer for an Irish dance and music performance on the door of a small pub in Galway. We decided to check it out and found ourselves in an upstairs room with about a dozen Irish people enjoying traditional music and dance performed by incredibly talented teenagers. What I love most about slow travel is experiencing the culture, connecting with locals, feeling like I am living in another country, escaping the crush of tourists and discovering off-the-beaten-track experiences. Transitioning to slow travel is easy. It starts with a desire to experience rather than observe a local culture and then adjusting how and where you spend your time. A number of websites-Smarter Travel, Slow Travel, and Slow Movement-offer great advice and resources for slow travel. Over the years we have discovered some slow-travel guiding principles that work well for us. Stay in apartments booked through Airbnb, VRBO or one of the other home-sharing sites where we are more likely to live like locals. Landlords are often the first locals we meet and great resources for local events and information. Keep most of our time unscheduled. We balance scheduled visits to attractions with open time to wander and observe. People watch. We love to sit on a park bench or at an out-door café and observe life going on around us. Spend extended time in each location, much more time than guidebooks recommend. Seek opportunities to visit with locals and ask them for recommendations-where they like to eat, what they like to do, where are the hidden gems. Eat like a local. Food is such an important part of the culture. We go to markets and eat at restaurants frequented by locals. A menu without an English translation is a good indicator the restaurant is for locals. If we have trouble ordering, there is usually someone at the restaurant who can help us. Take a chance on local experiences that we know nothing about. Some of the time we are underwhelmed, but most of the time we are delighted. And all the time, we enjoy having an experience with the locals. 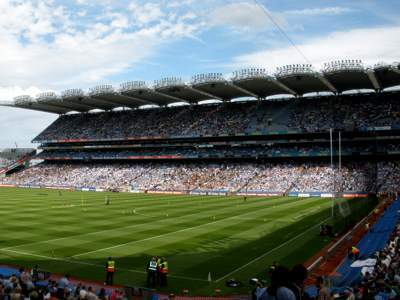 One time we followed a huge group of people walking in the opposite direction from us and ended up watching a thrilling Gaelic football match between Dublin and Kildare with 80,000 boisterous fans. Learn at least a little of the local language and use it. This one can be hard when I am unsure about correct pronunciation. However, most of the time, the locals appreciate my efforts even when I feel like I am murdering the language. Download one of the many apps that help navigate a new city. We especially like City Walks whose maps and guided walks help us find new places to explore. Two years ago, we returned to Florence, one of our original three Italian cities, for five weeks. Our goal was to live in Florence, not just visit it. After living in Paris for a month the previous year, we were pretty sure that five weeks would not feel too long. 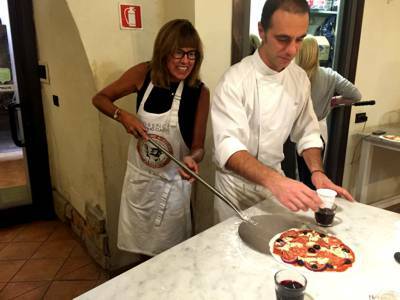 We took cooking classes, hiked rural areas outside the city, took day trips to neighboring villages, visited with locals and made return visits to our favorite restaurants. By the time we left, locals were calling us by name in the piazza and stopping us on the street to go for a coffee. We know that staying longer in one location limits the number of places we can experience, and we have many places on our "want-to-experience" list. But after almost ten years of enjoying slow travel, we realize that the joys of really experiencing a new place outweigh the allure of visiting more new places.